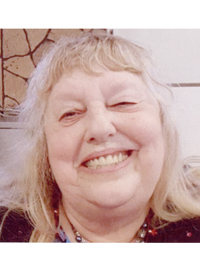 Betty Lou Weckman (Money) passed away on February 7, 2019. She passed away peacefully in her bed beside her husband Bernie Weckman. Betty had 2 daughters, 3 sons, 13 grandchildren and 12 great grandchildren. She is from a family of 7 kids, 3 brothers and 3 sisters. Betty was preceded in death by her parents John and Bessie Money, along with her daughter BettyAnn. Betty will be greatly missed for her smile and laughter, she always made the whole world smile. She loved everyone and there wasn't anything she wouldn't do for someone if she could. She will be deeply missed and loved by many family members and lots friends. Memorial contributions may be directed to the family in memory of Betty.